A bit late, but better late than never. Finally got a chance to sit down, work with the pieces a bit and actually write something that’s actually relevant about these pieces. 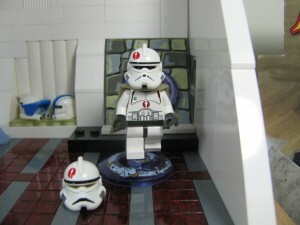 As you can see, I’ve even spent a bit of time decorating the plain white helmets. They’re actually quite fun to paint up if you’re into that. The Merc helmet is by far the easiest to get a nice paint job on due to the high level of detail that is already included on the helmet. The Merc helmet itself features quite a bit of detail. The antenna is actually molded onto the helmet, which could be seen as a downside; but I just see it as a nice way to make sure that it stays in the right place all the time. The breather part of the face is also detailed quite well and gives a very strong old sci-fi feel and works great for those Old Republic Mercenaries. 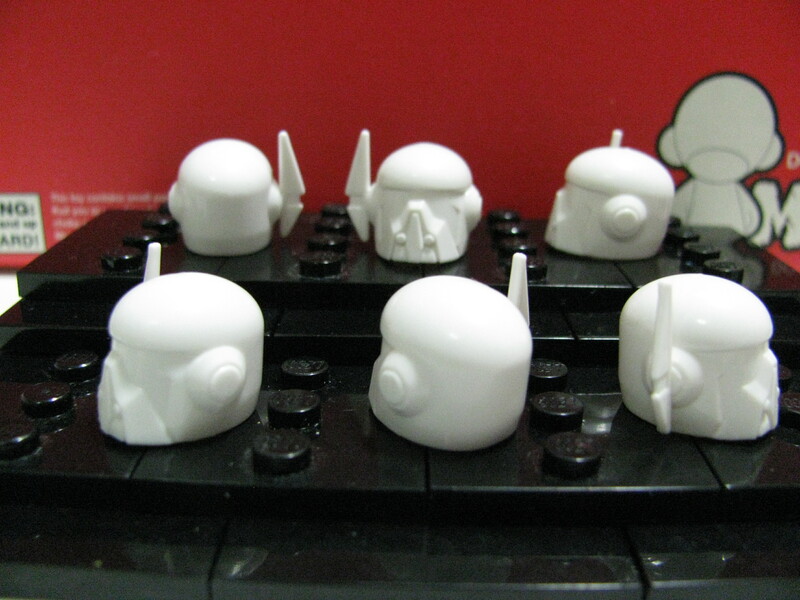 I personally am quite excited to see how Arealight prints these helmets up. 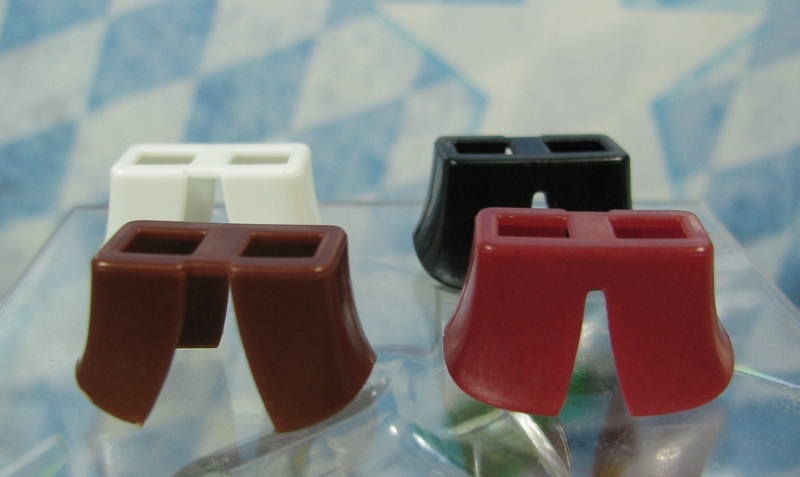 I could definitely see them looking much nicer in other colors than white as well. 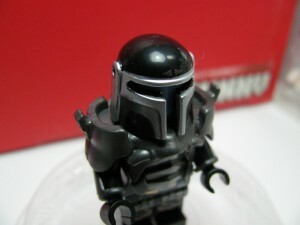 And as you would have guessed, it wouldn’t really be too nice to have a Merc helmet without a matching jet pack. The design on this matches perfectly to the source material and will no doubt make a great addition to any figure. It meshes quite well with “older” sci-fi themes outside of just the Old Republic theme. I could even see it very loosely being used in steam punk themes with some modifications. Overall, it’s a great piece. 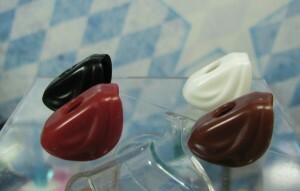 High detail and quite simple to paint or decorate due to all of the details. Following the Old Republic items, we have the long awaited Combat helmet. This is based off of the trooper helmet from the Old Republic Trailer. I was pretty excited when Arealight began processing this simply because of the fact that Lego released the figure without the helmet; which just seemed so out of place. Beyond just that, the helmet has a great design and really does just look fantastic. 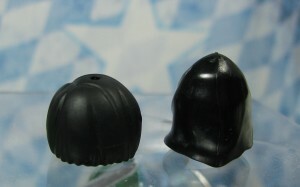 The holes on the side of the helmet are specifically designed to tightly grip Arealight’s Phase 1 Sun visors and Phase 1 Macrobinoculars. This means that you can easily raise the macrobinoculars without having to worry about them falling down. I can definitely say I am eager to see how Arealight ends up working the printing on this helmet. Speaking of Troopers though; that makes a great segway into our next piece. The SpecOps Pack. 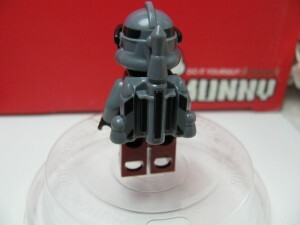 I personally love the design of this back pack simply since it works so well with most sci-fi themed figures. The back pack allows for enough room to comfortably fit most helmets and is compatible with all Arealight helmets. There really isn’t much else to say about it besides the fact that it is quite an amazing piece. Definitely consider picking these up to go a long with your Commando helmets if you have them! 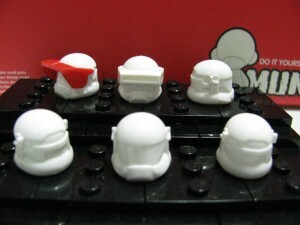 Up next we have the trooper helmet. 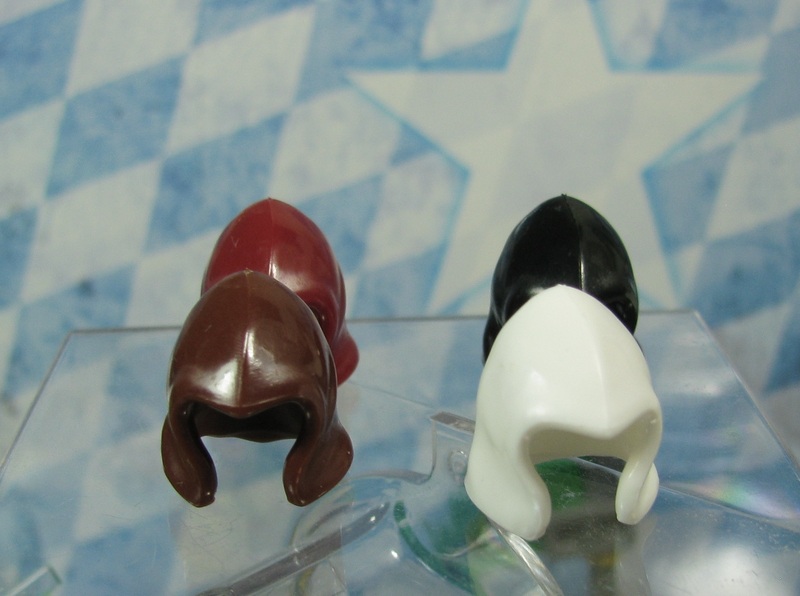 This helmet has been long requested by fans due to Arealight’s commander helmet having that hole in the visor. Personally I think this helmet turned out great! I personally feel the shape is much better than Lego’s version and the breathers just give it a much more defined look. The fin is also sized quite well on this helmet compared to how it is sized on others; not too high and not too low. 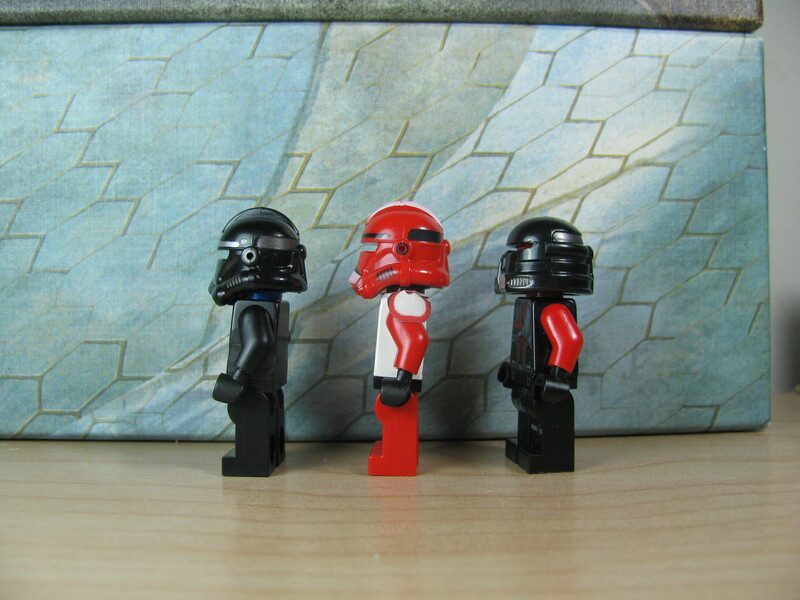 The helmet accepts Lego’s helmet accessories and holds them perfectly with no deformities on the pieces; however Arealight’s Phase 1 Sun Visors and Phase 1 Macrobinoculars are a bit loose. 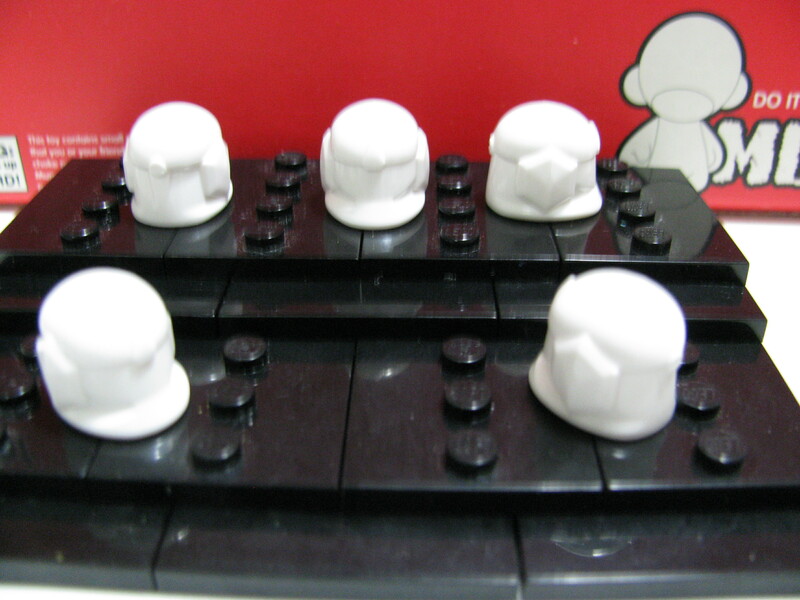 This means that without any adhesive or additive adjustments to the helmet, you won’t be able to mount the macrobinoculars so that they stand straight up on the helmet. 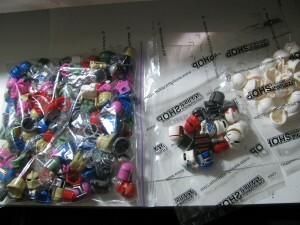 I don’t see this as too big of an issue though since being compatible with lego’s accessories makes up for that. One of the things I definitely am excited to see are some special prints coming out for this helmet that make use of it’s closed visor. The next item on the list is the pilot helmet. I really do like the design on this helmet, Arealight’s attention to detail on this helmet just makes it for me. The bulky design makes it blend in quite well with Lego’s Pilot helmet designs. The one issue I see with this helmet is that it has a bit looser grip than the others; but it still has a decent grip on the head so it isn’t too big of an issue unless you plan on throwing your pilot across the room. 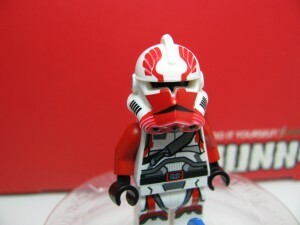 So we had the Trooper helmet with this release, a closed visor version of the Commander Helmet; and Arealight didn’t want to leave the Mando helmet out of the party so he released a closed visor version of the Mando helmet: the Hunter helmet. This helmet is in essence a closed visor version of the Mando helmet with a few adjustments. These adjustments included adding more detail to the back and I believe making the area above where the visor is usually located more defined. The plain face of this helmet makes it great for decaling and I could definitely see some designs that utilize this closed visor being printed onto here in the future. 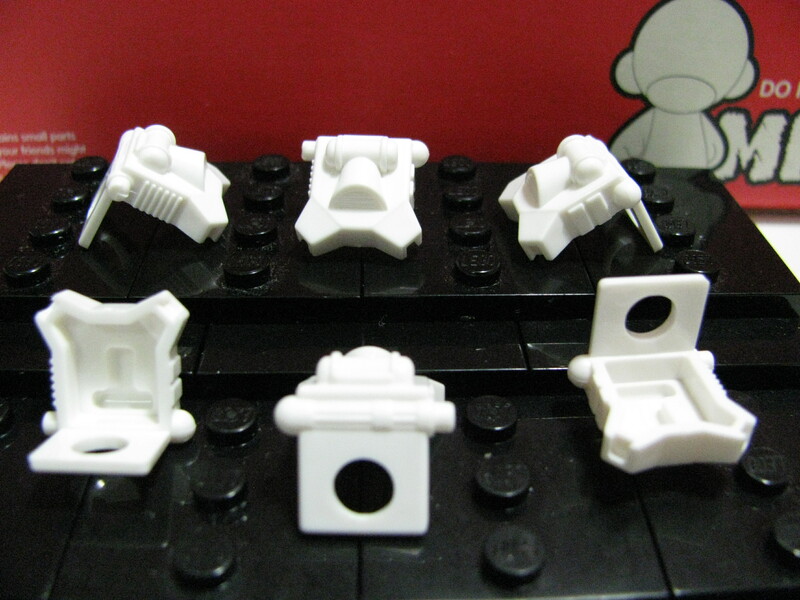 The holes on the side are designed to fit Lego’s helmet accessories, but I believe they will also fit Phase 1 Arealight Accessories. Be warned though! 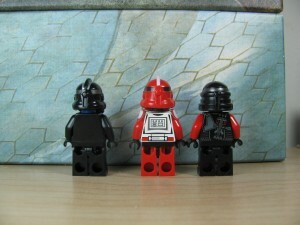 It is very hard to get them attached to the helmet and near impossible to remove them once it’s on! 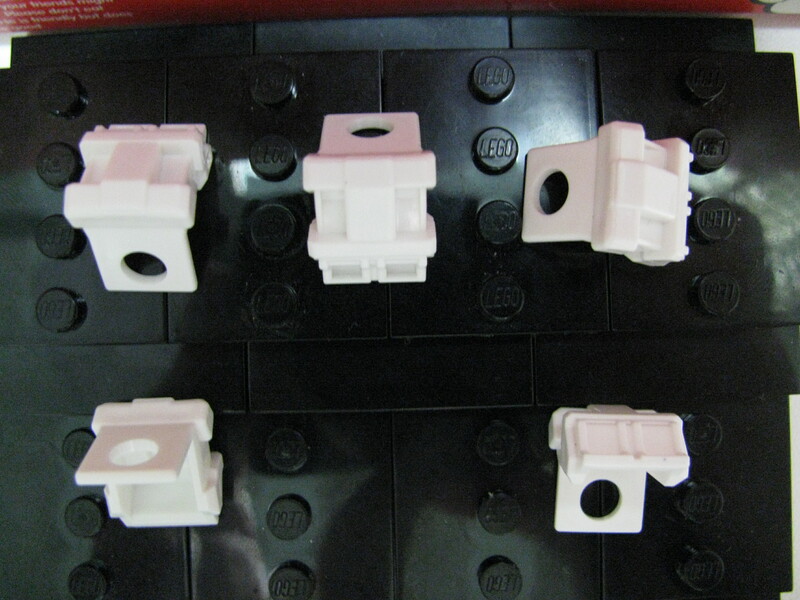 I do not advised if you’re worried about the piece breaking and you don’t have an extra on hand. 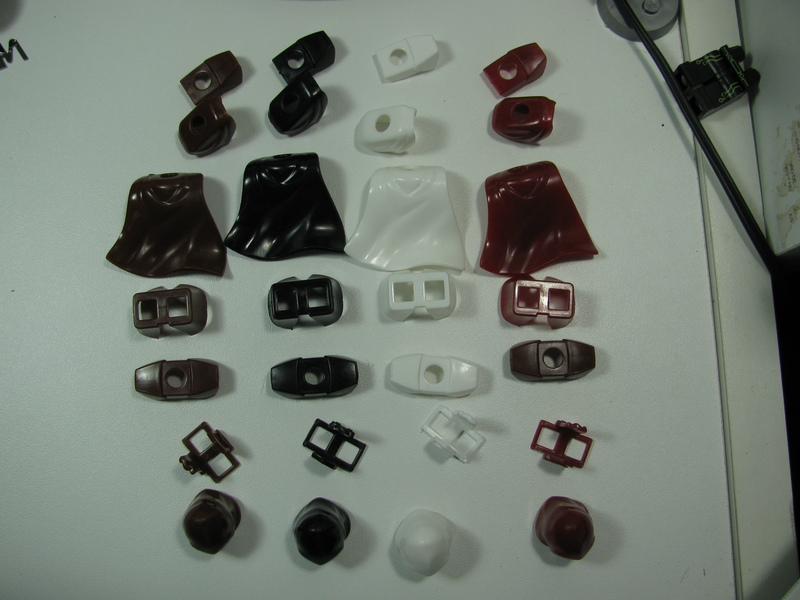 So to sum it up, these pieces are definitely worth checking out; especially if you’re into the decaling or painting scene of customizing. Even if you aren’t, the SpecOps pack and Merc Pack will go a long with almost any sci-fi figure with or without a paint job. Beyond that, the combat helmet also could work fine without any sort of decoration if you were to use the macrobinoculars; although it would be a bit plain… Don’t fret though, as these helmets will be printed onto in the future for those of you that don’t like picking up the paint brush or cutting out decals! I know it’s a bit late, but I’ve been busy lately. 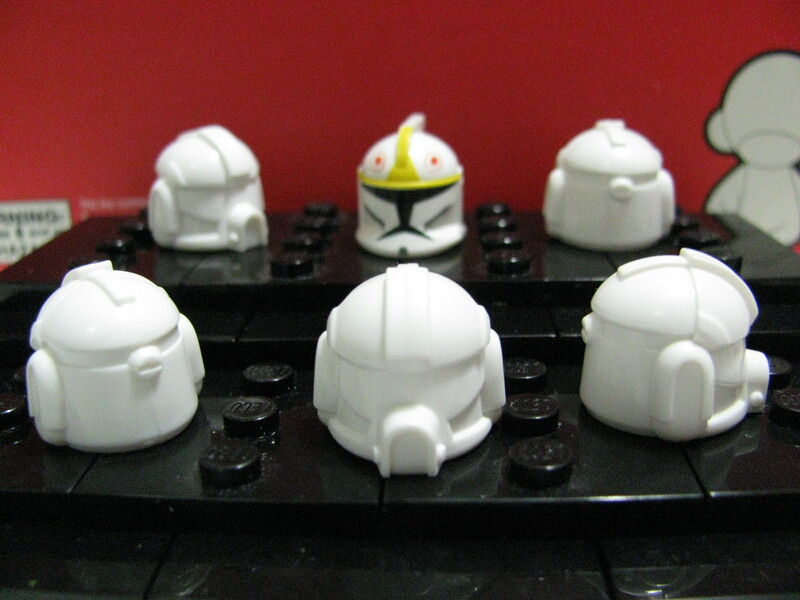 As Promised though: We’ll be starting off this review with the Mando helmets. So every want to design your own little bounty hunter or Mandolorian warrior? Well here’s your chance! I personally love the Mando helmets for that reason. 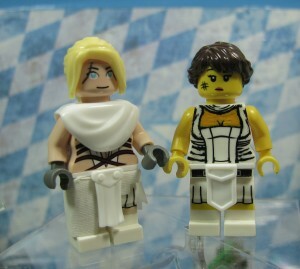 There is just so much potential for your own personal figure with these designs. As you can see the design looks quite nice on variant prints that you might receive with your slightly larger orders. Next up we have the Barin Helmet. The Barin helmet sports some what of a “brass” color printed onto dark bluish grey. Personally this is one of my least favorite prints since the color isn’t as bold. However it still looks nice. If you like the color scheme or the character it’s based on, it would be nice to pick up. As I said though, the color on this helmet isn’t as vibrant as others though. 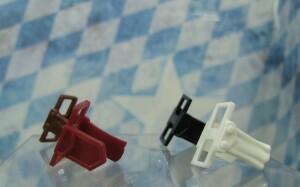 And here is a photo of the variants. I personally prefer this design printed onto black than the original color. The black just makes the color stick out so much more. Unfortunately that is the freebie variant that you can’t pick out. Here we have the Galen helmet. Personally I love this one. I’ve always liked the color blue and the silver with dark blue highlights printed onto the blue helmet just looks amazing. 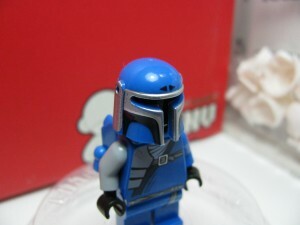 This is one I could definitely recommend picking up especially if you were wanting a blue mando helmet for your collection or if you’re a fan of the character. The printing is quite crisp and clean; not to mention it compliments the color of the helmet quite well. Again, here are more variants of the Galen helmet. Personally I feel the best variants are the silver and white. Next up we have the Fenri helmet. Personally this is another favorite of mine. 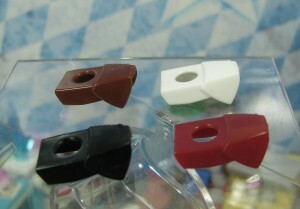 The dark red on white is very nice. I also like the extra detail above the T-Visor. The printing is relatively clean, the actual version of my helmet is a bit less crisp than the variants, but it is something I don’t mind overlooking for this helmet since the design and color scheme is so nice. And more variants for you guys~. The variants for this one are quite nice as well. 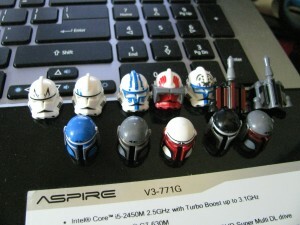 Finally we’ve got the Jaster helmet. This one is definitely a great one to pick up as well. The helmet has such vibrant colors that it really makes it worth it. 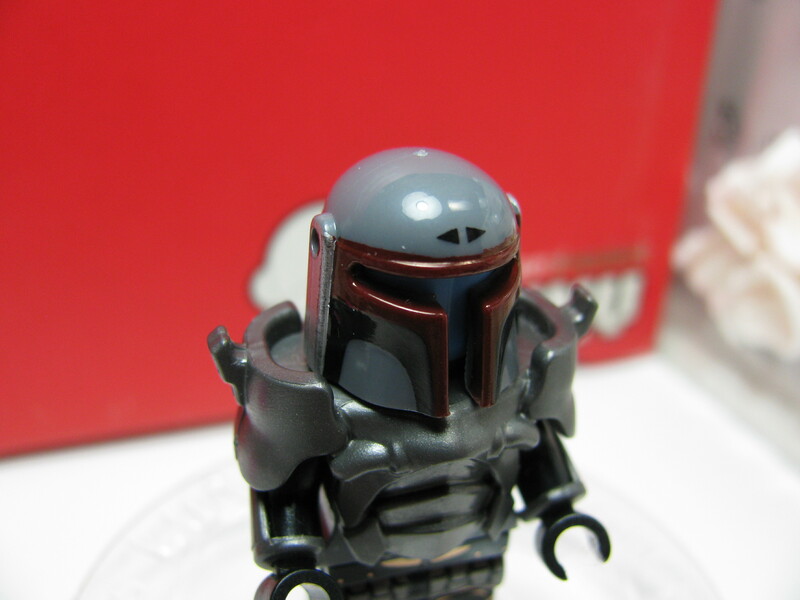 The dark red T visor outline looks quite nice on the dark bluish grey helmet. The silver and black detailing on the sides and cheeks of the helmet also fit quite nicely with the color scheme. The printing on this one is very crisp and very clean as well. 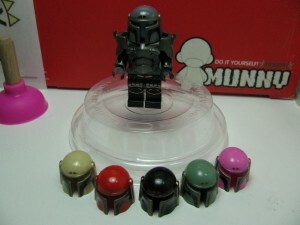 I could easily recommend this helmet to anyone looking for a Mando helmet, especially so if you like the color scheme. 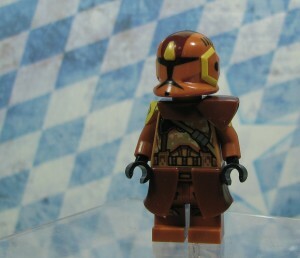 Unfortunately I do not have a photo of variants of this helmet to show. So here are some of the other variants you can get of the Jango and Boba Helmets. …and the back! This is actually a first for Arealight to do. And it is definitely very welcome. 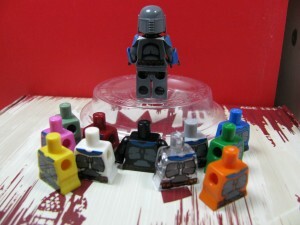 It’s fantastic to see the curved torsos getting some more love and I could definitely recommend picking these up. 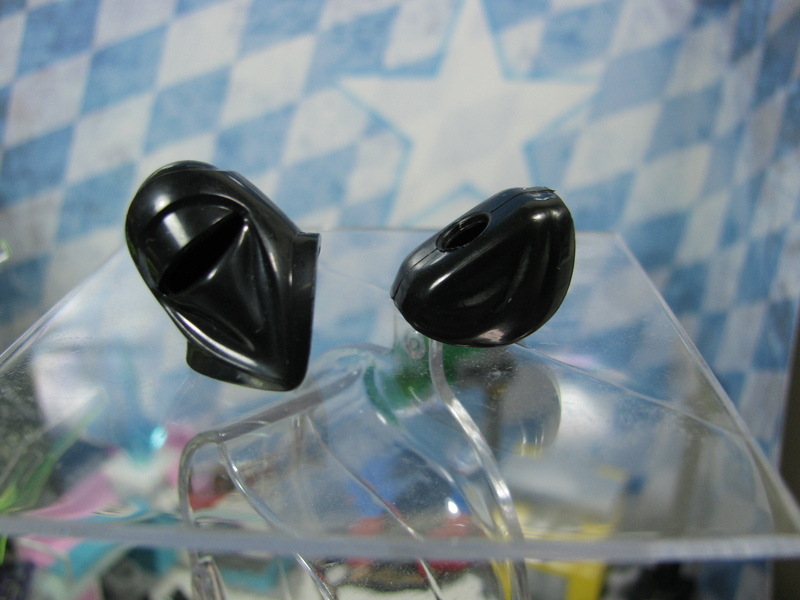 The design consists of a redesigned Mandolorian battle armor based off a specific character. And it matches quite well. The printing is not only very crisp on this, but it’s also very detailed. Arealight included the folds and wrinkles in the fabric of the cloth that you’d expect from someone wearing this type of armor. Outside of that the detail on the belt is just plain amazing; the pockets are shaded where you’d expect them to be and he was really able to create a sense of depth with the design. Honestly the only real “flaw” I can think of is that this torso was specifically designed to be printed onto dark gray; this means that the variants won’t look as nice because part of the design is left blank because of that. 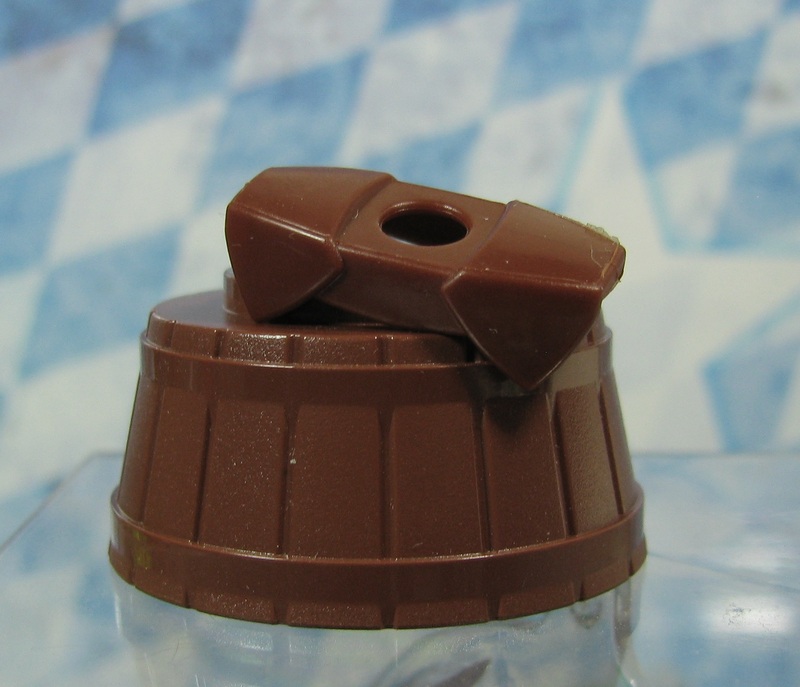 However, that shouldn’t deter you from buying the actual torso; as it really does look amazing. Anyways I hope this review helps anyone who actually hasn’t had a chance to get the new prints yet. 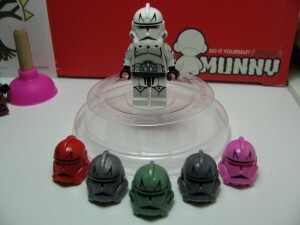 Next review will cover wave 7 helmets. Well, here we go again with another small review of Arealight’s new printed items. It’s been about a month or so since their release, but since the store was closed a few weeks following, there wasn’t too large of a frame for purchasing them. Here’s a picture of everything Arealight sent me for this Wave~. 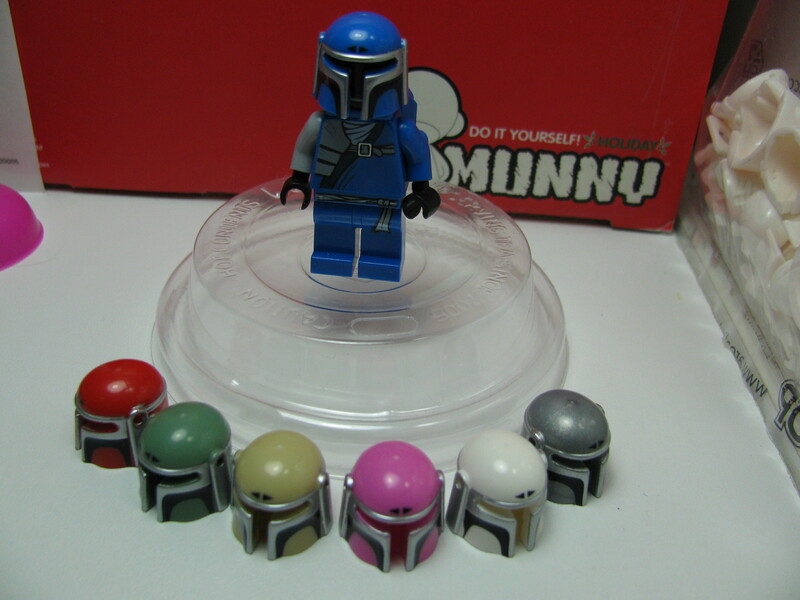 The baggie on the left contains lots of the prints on random coloured helmets, the one in the center contains new prints and finally the one on the right contains the helmet mold in new plastic! (We’ll talk about this later~). So this is for those people who are still debating whether or not to get them or not, I know I definitely get that way sometimes when new product comes out. For this release we’ve got lots to show! 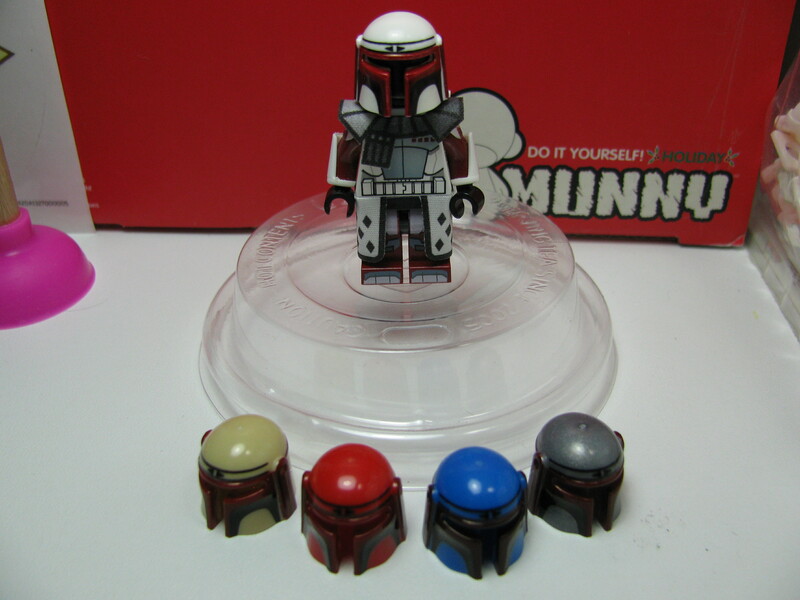 Five new Mando prints, three new commander helmet prints, two new jet packs and reprints of Jesse and Hardcase. Jesse’s design has also been updated to be more accurate. 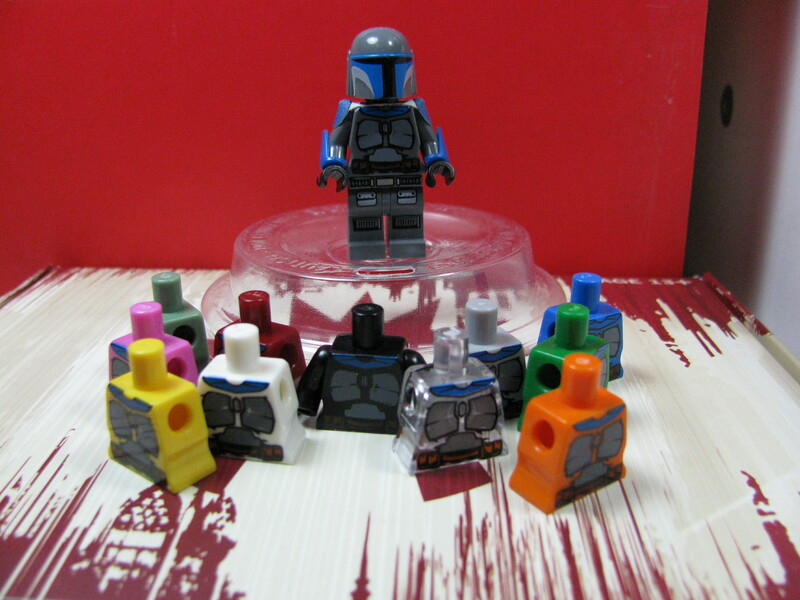 So from Left to right we have the Force Helmet, Security Helmet, reprinted hardcase, Thorn helmet Jesse Helmet, Dred Jet pack, and Barin Jet pack in the back row. In the front row, from Left to right, we have the Galen helmet, Barin Helmet, Fenri Helmet, Goran helmet, and Jaster Helmet. Since so many products have been released in this run (a total of 10), I’ll be doing a two part review. For this half, I’ll be reviewing the new commander helmets and the two jet packs and then we’ll take a look at the mando helmets in the next review. 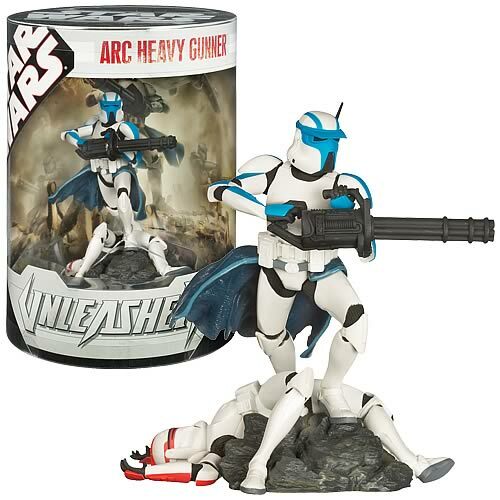 The force helmet is based off of an action figure from the extend universe. It’s essentially a regular clone trooper helmet with the Jaig Eyes in black. It’s a very simplistic design, but still is quite nice, I think it would have been a nice touch to have the jaig eyes a different color though (it wouldn’t match the reference however). The helmet itself is completely printed front, back and sides. 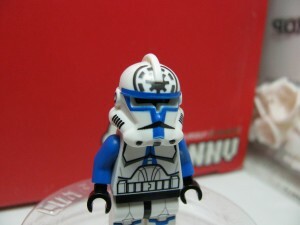 I could personally see a lot of people using this helmet to modify into a regular clone trooper helmet as well due to it’s simple design. Should you want to do that, it’d just be a bit of brasso each helmet on the front and it’d probably go by pretty quickly. 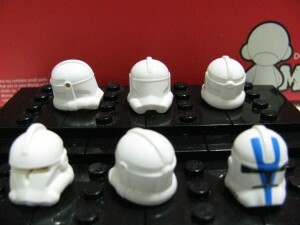 So I would say this would be a pretty nice helmet to add to your collection, and if you want to do some “army building”, it’d be a good way to get regular phase 2 helmets. And here is a close up of the actual product. The printing is pretty crisp as usual. There was a small blur on my copy on the mouth piece, but I believe I was just a bit unlucky here. 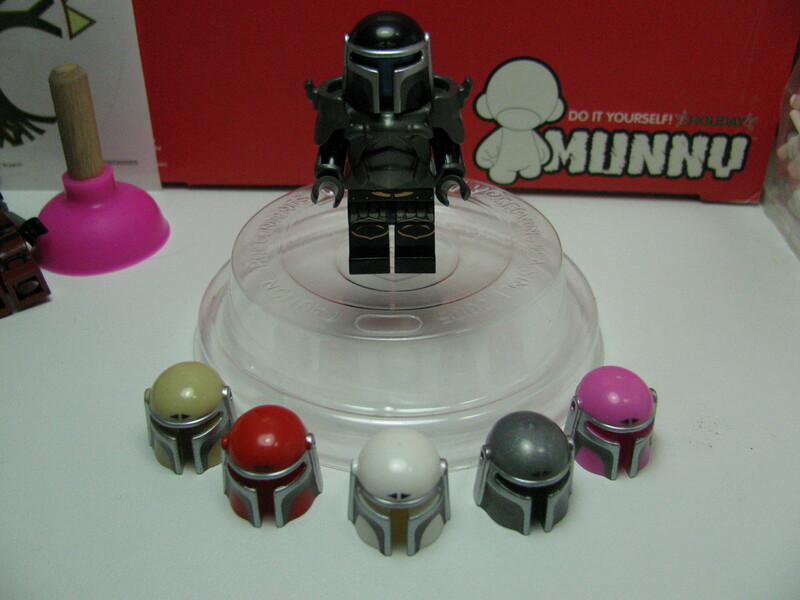 The blur itself isn’t really noticeable, and doesn’t show up on any other of the variants of the helmet. Moving on, we have the Security Trooper helmet. 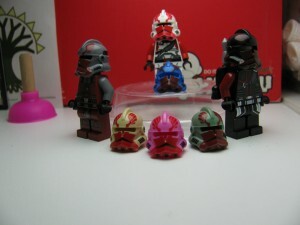 The security trooper figure, similarly to the force trooper, is based off of an action figure. The design itself is pretty simple, but I still love how this helmet looks despite it’s simplicity. The helmet sports two hatch marks on the side and printing all the way around. Definitely a nice helmet to add to your collection if you like simplicity! And here is a close up of the helmet. As you can see the print job is pretty crisp and clean as usual. Next up, we have the Thorn helmet! 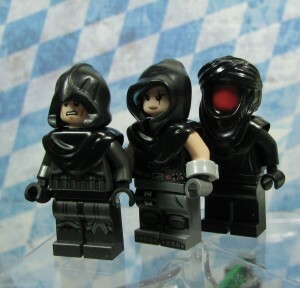 The Thorn helmet is based off of Commander Thorn from the Television series. 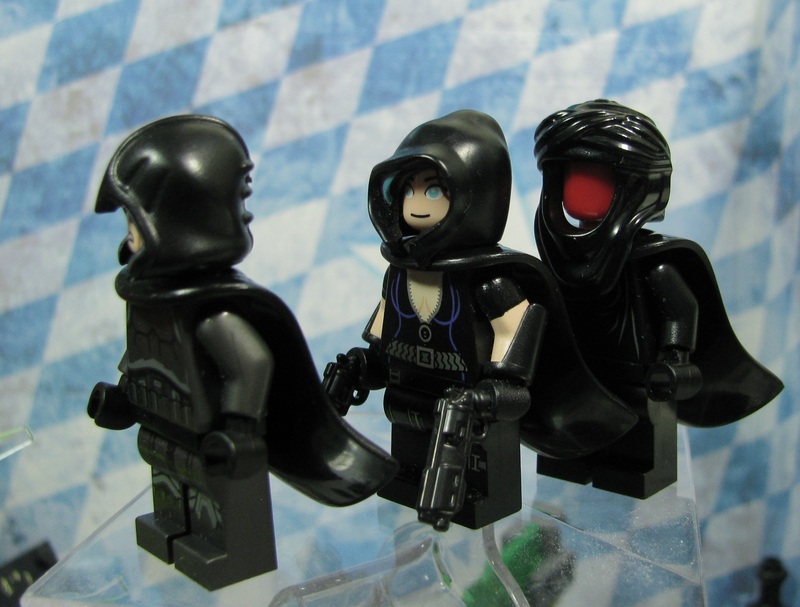 Thorn is pretty popular despite the lack of information on him. 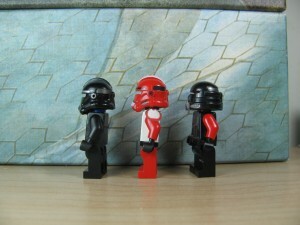 The helmet itself sports red printing with a pair of wings on the helmet and printing on the back of the helmet. I would definitely recommend picking this up if you get the chance since it’s just a fantastic design. 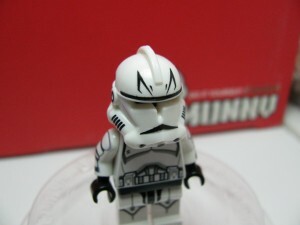 And here is a close up of the helmet itself. 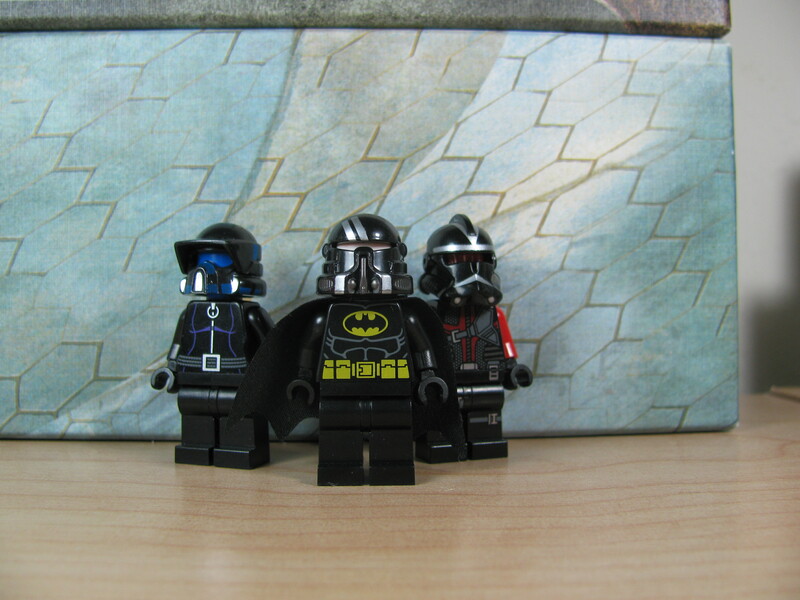 Unfortunately some of the helmets have a small blur between the wings. However, I personally feel it still looks pretty nice despite this. On the other hand some of them don’t have the blur. Such as in these off color prints. All in all, if you get any helmet from this print run, pick up this one. It’s definitely one of the nicest designs. The Dred jet pack is based off of a Mandalorian bounty hunter’s pack. 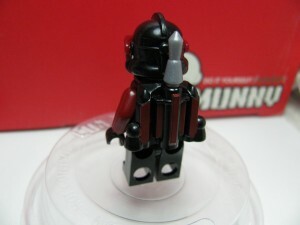 The jet pack sports red printing on a black jet pack and will come with a silver rocket. The printing is simple, but still looks fantastic. 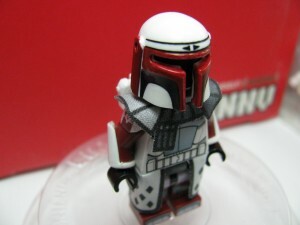 Definitely a nice fit for any figures you want to have a jet pack, even if it’s not a Mandalorian. It’s also great in other colours if you happen to get an off color one. As usual, here’s a close up of the jet pack. The printing is clean and crisp as usual. 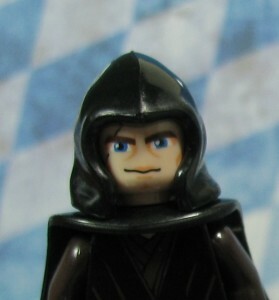 Definitely a great addition to your collection. 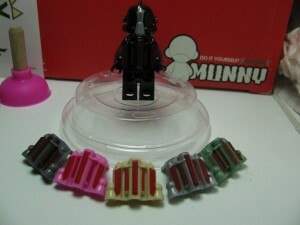 As for the last piece of this release, we have the Barin jet pack. The Barin jet pack is also based off of a Mandalorian bounty hunter’s jet pack. It sports black printing on a dark bluish grey jet pack and includes a dark bluish grey rocket. The black printing is a bit unique and different from most printing for jet packs. It has breaks in the designs on the pieces attached to the boosters. 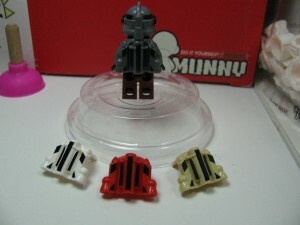 It’s a very simple design that fits well with many figures outside of Barin. And as usual, looks great on other colors. As you can see the printing is very crisp and clean as usual. I would definitely suggest picking up at least this pack or one of the other jet packs before they run out. As a little added bonus, we have the updated Jesse helmet. 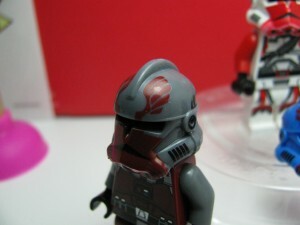 The Jesse helmet now sports a metallic republic symbol instead of the blue one from the original helmet. I feel like it definitely looks a lot better than the original. 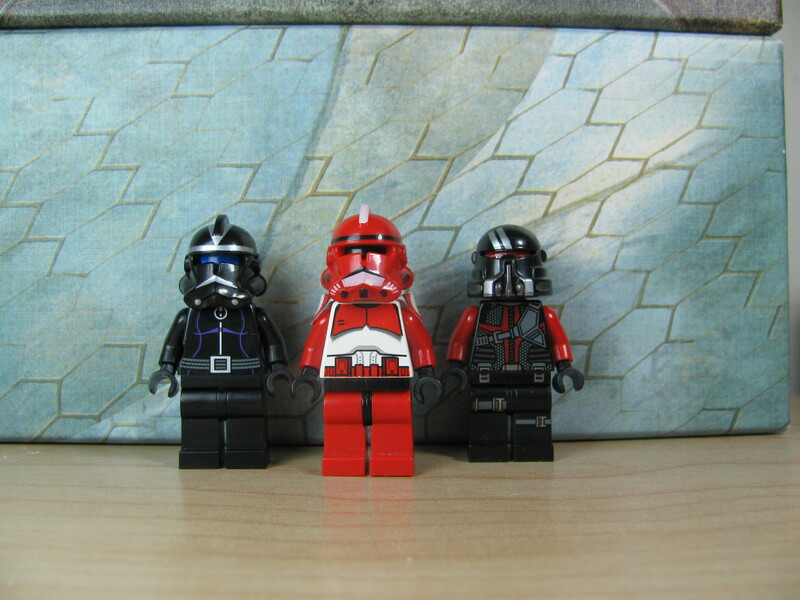 If you get a chance, definitely pick up some of these commander helmets and jet packs. 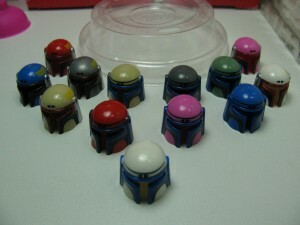 Anyways, join me next time for the Mandalorian helmets. 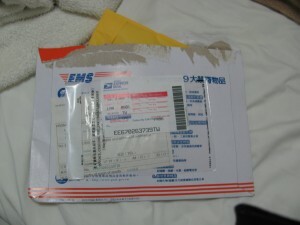 It’s an envelope inside of an envelope because Arealight had decided to ship it EMS, I received it in about 3 business days. So then let’s see what we have here! 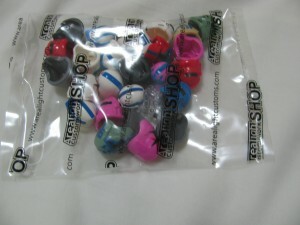 A bag of freebies and new product! A closer look you say? Alright let’s just get straight to it then. 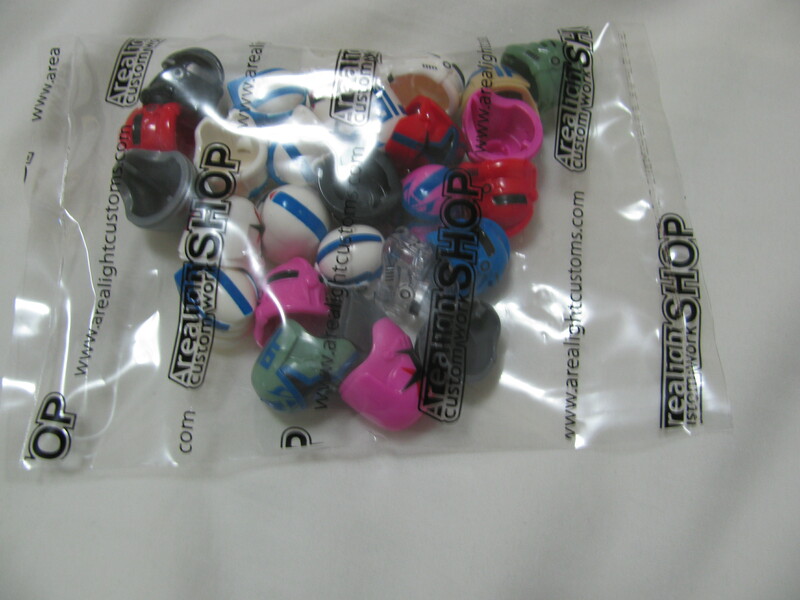 I personally like to put all of my orders into a little bin after dumping them out of the baggie~ It makes it so much easier to keep track of that way while I’m going through new things before I stow them away for future use! So here we go! I’m sure all of you are quite curious about the new product that we have. As you can see, we have quite a few new things coming out! Think of this as your little sneak preview. 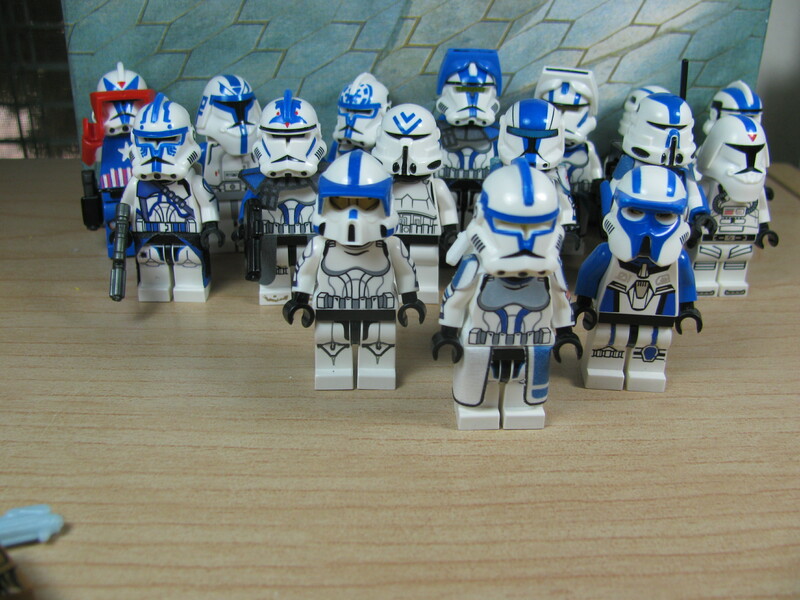 We’re adding quite a few things to the 501st (Blue trooper) line as well as adding a few new things to the shadow trooper line! And the poor lonely Thire will now have a commander Fox to go with him! So how about we put these helmets to “good” use~! Ah there we go. Much better! 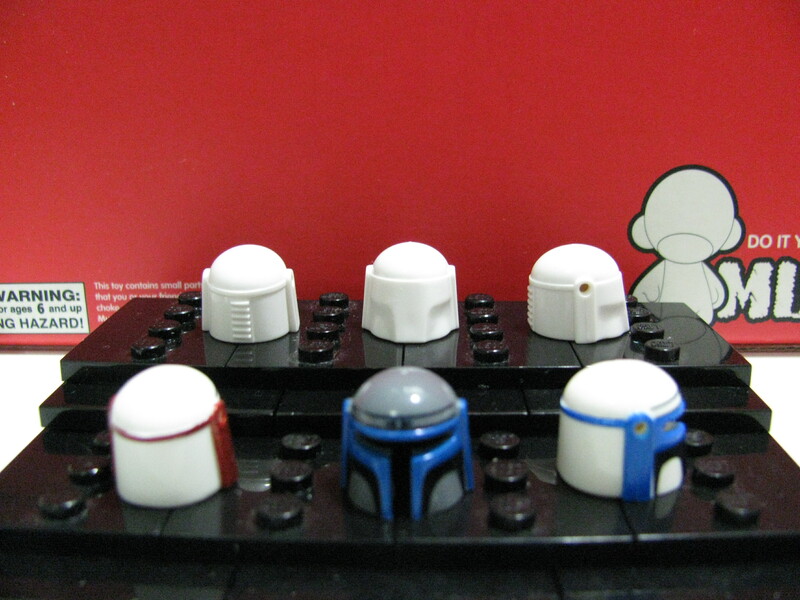 I hope you don’t mind the random torsos on some of them! I was just a bit lacking when it came to black clone trooper torsos. ( ≧Д≦) I also had some trouble putting together all of the 501st figures as well. There are so many now after all! Alright now how about we get this review started! All of these helmets are based off of the clone wars or extended universe. I’ll start us off with something relatively familiar. 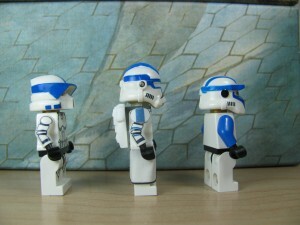 The good old blue 501st designs. 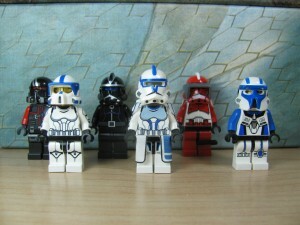 As you can see, we have a 501st ARF trooper(who is based off of Boomer from the Clone Wars Games), Kix (From Season 4 Clone wars Umbara Arc) and a 501st AT-RT trooper (ARC Heavy Gunner). So I suppose I’ll start from the left front row. 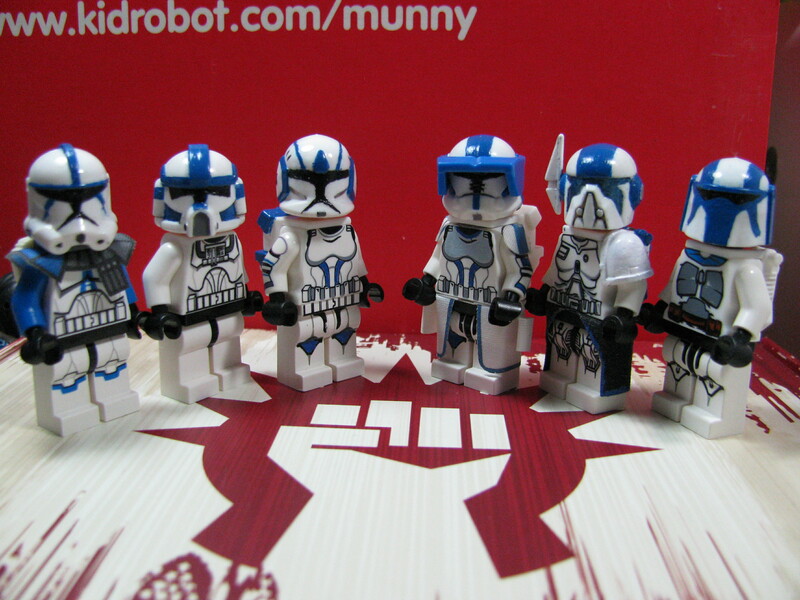 The 501st ARF print is actually pretty nice. 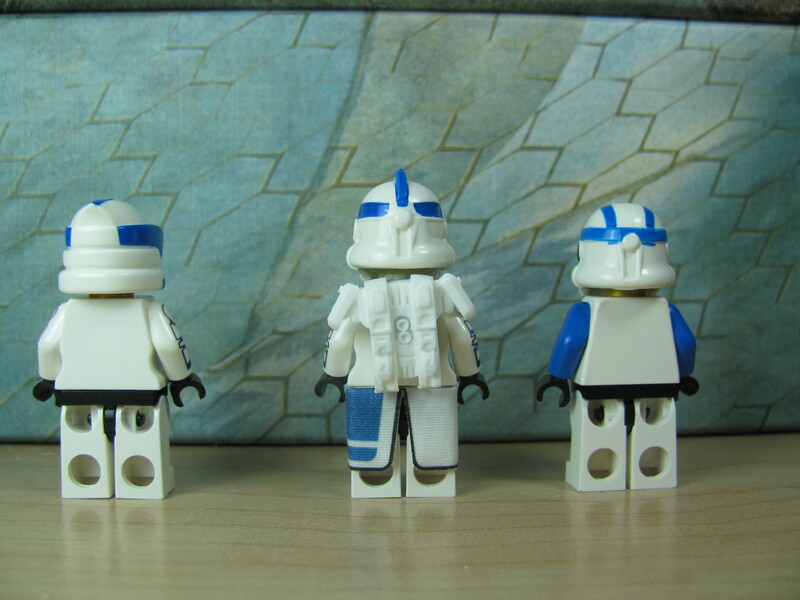 It’s a Lego blue color, so you’ll have no problem matching it; as with any of Arealight’s other blue clone trooper helmets. The helmet sports a crisp blue printing on the sun visor a long with a line down the center. There is also a bit of blue and black detail print for the face details. All in all, this is definitely a pretty nice helmet. 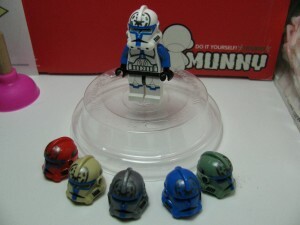 A great helmet to pick up if you want a blue ARF trooper. Or just one of the ARF helmets in general. Next up is the Kix helmet. I personally have always liked Kix’s design. The Kix helmet sports blue printing around the visor and on the back details of the helmet. 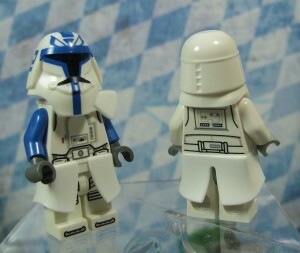 It’s printed onto a commander helmet, but since it’s open visor; you end up with a white gap between the head and the blue print. I personally never found this too big of an issue; but if you do there’s always the option to paint the white area black or whatever color the head underneath is. 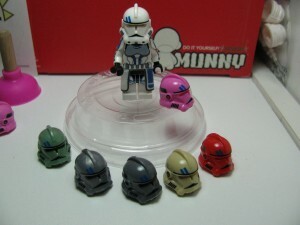 Of course, if you liked the Umbara arc; you’d probably want to pick Kix up to add to your collection. 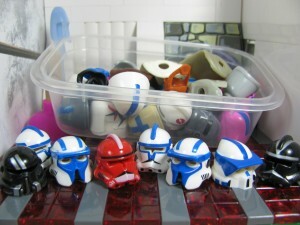 And then we have the 501st AT RT helmet. 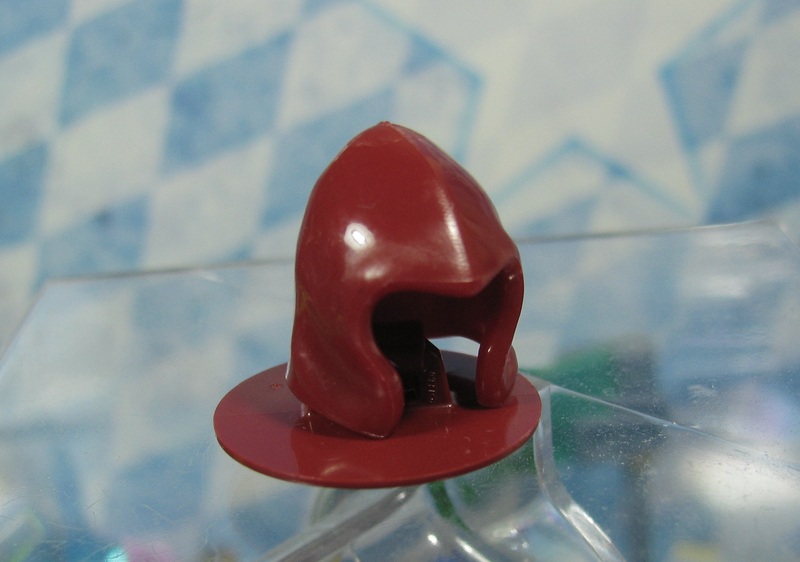 Out of all of the helmets Arealight’s printed, I believe this one was the one that’s given him the most trouble. It took several attempts, but Arealight was finally able to produce one he felt he could release. 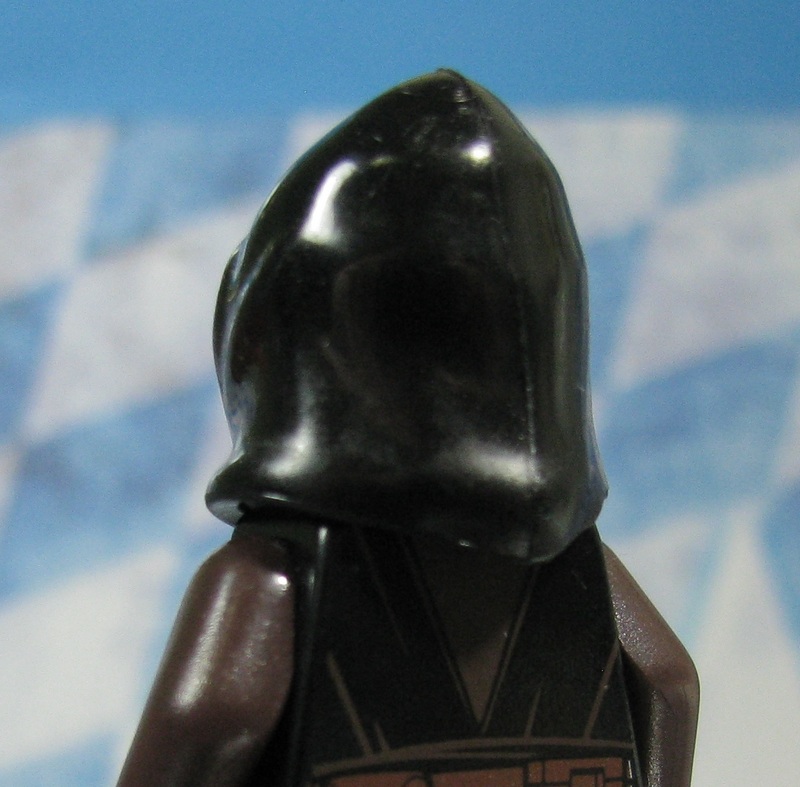 There are a few print issues, like the eyes not being fully covered and the top visor having a bit of white. However, it’s still a pretty decent match to the reference material. In all honesty i think it looks pretty good for the odd shape of the helmet. More pictures you say? Well. Here are the side and hind shots. 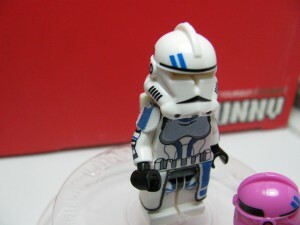 As you can see, the back doesn’t wrap all the way around on the ARF helmet unfortunately. And just for fun… Here is a shot of all of the helmets with blue printing that Arealight has produced! As you can see, there are quite a few…＼(>o<)ノ I was actually a bit surprised at how many there where..
Anyways, moving on to the three in the back! Here’s a Shadow Clone Trooper, Commander Fox (Clone wars season 4), and a Shadow Airborne Trooper (Unfortunately I don’t have a picture for this, but it’s essentially a black version of the Utapu Airborn trooper). 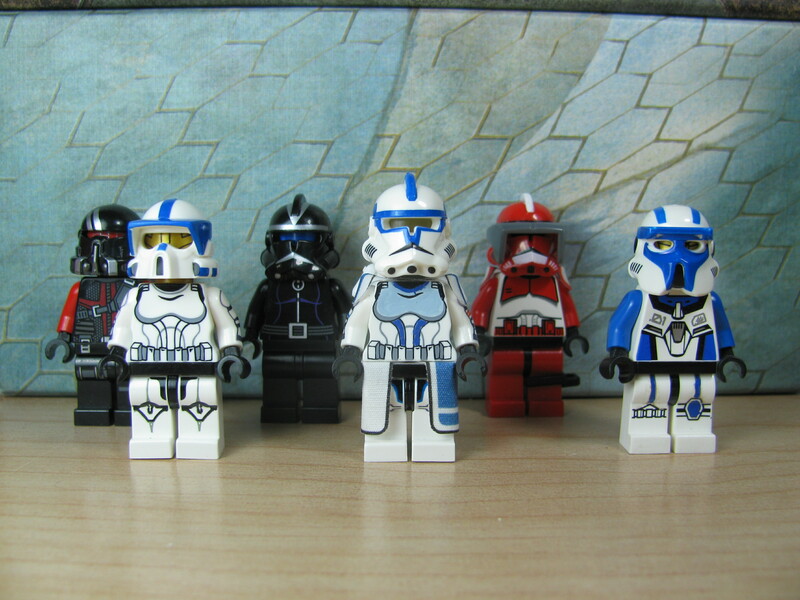 So Let’s start off with the shadow clone trooper. The helmet sports a Silver and Gunmetal print. The small details on the side are a gunmetal color while the face details and the markings around the fin are a silver color. While I know I say this about a lot of the helmets, this has to be one of my favorites. It just… works. It’s simple yet effective I guess you could say. 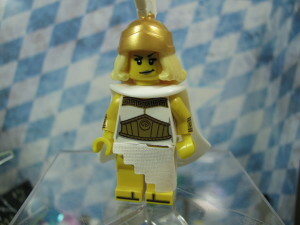 I’m just a bit disappointed I wasn’t able to show it off with a matching torso. Next up is the Fox helmet. I think arealight did a really good job with matching the reference material. He actually decided to hold off on the release of this until he was able to get Dark bluish grey sunvisors made to match the show. (You can see this above.) 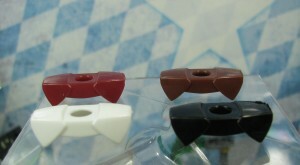 The main issue again is that Arealight still hasn’t been able to perfect the art of printing white on dark colors. 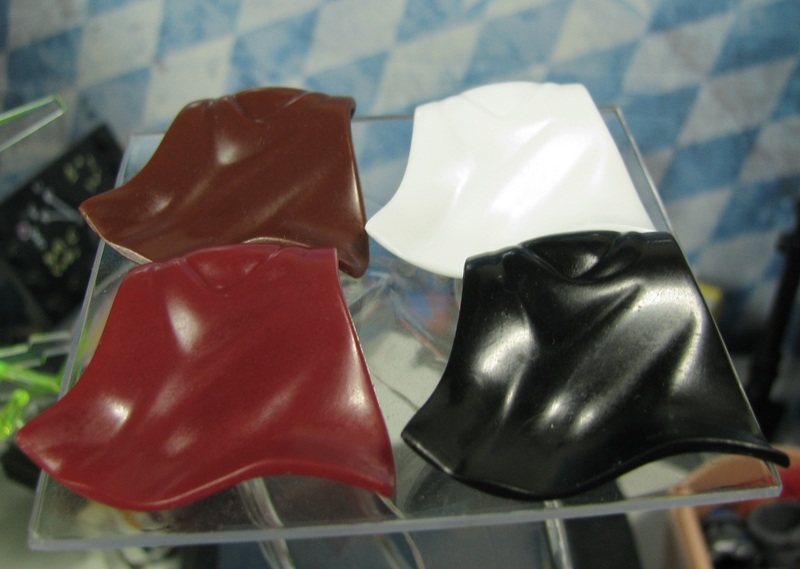 So your helmets may have some “off white” on the white areas. Otherwise the helmet looks great. 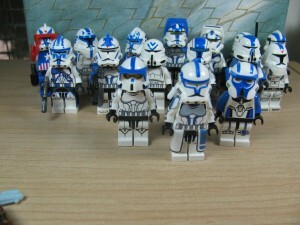 Something nice for any clone wars fan. Now for the last of this weeks release. The Shadow Airborne trooper. This helmet sports a silver and gunmetal print. 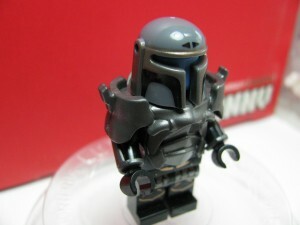 While I don’t like it as much as the Commander helmet version, I still think the silver and gunmetal just works. Those two colors go great on black and honestly this helmet is no exception to that. This printing on this helmet is actually perfectly aligned with the grooves as well. 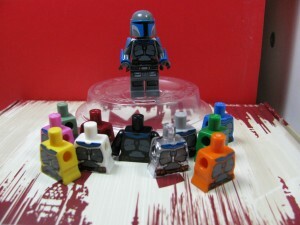 This is definitely something nice for those people who want to build up their own little group of shadow clone troopers. And now for a few more side and back shots! As for an added bonus here’s a little shot of the new version of the Neyo helmet. Honestly Arealight did a fantastic job of revamping it, my only issue is the skewed 91st emblem. Anyways, Over all this was a fantastic release. I can easily recommend picking up any of the helmets. They’re all really just lovely parts. And honestly, I feel this is probably one of the better releases this year. Anyways, until next time. I hope you enjoyed this review, I decided to update my review “style” a bit to try and make it a bit more fun.